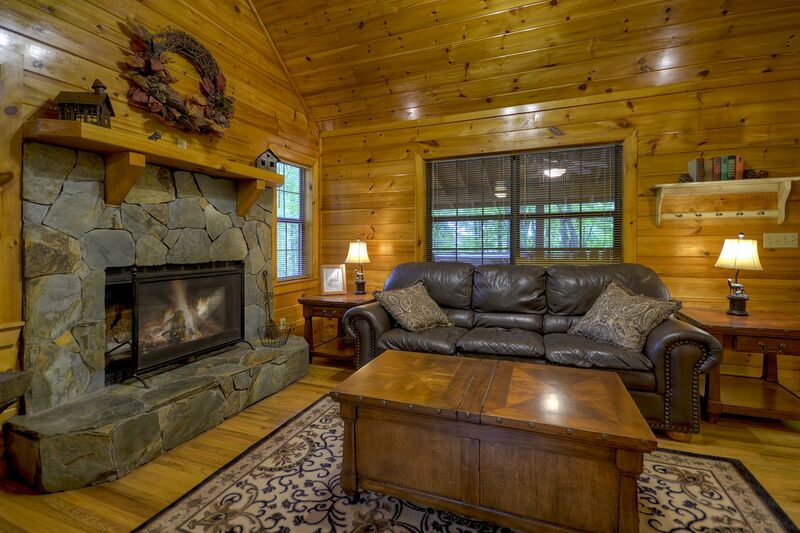 Looking for a quaint little mountain cabin? 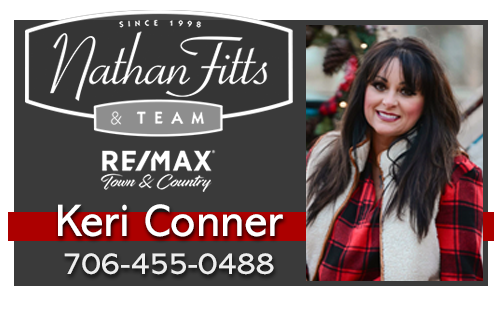 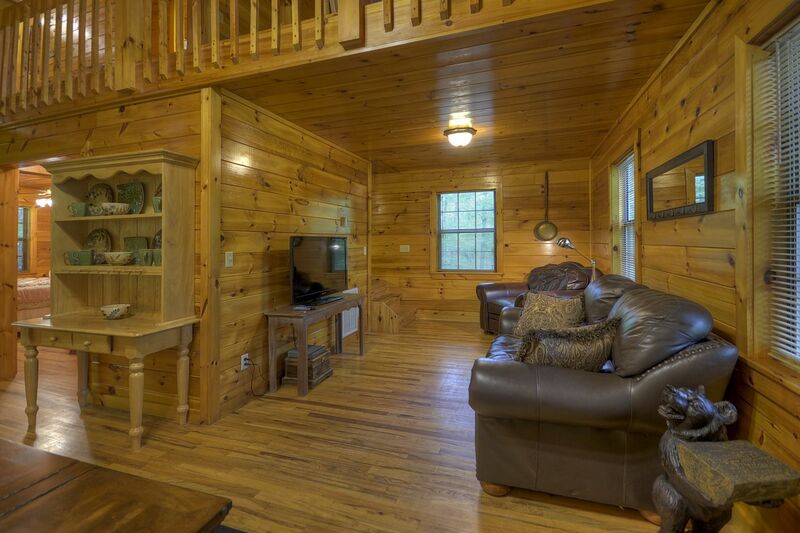 Something cozy but still spacious, in a quiet area that gives you room to relax but still puts you within minutes of all the attractions, shopping and dining in Historic Downtown Blue Ridge? 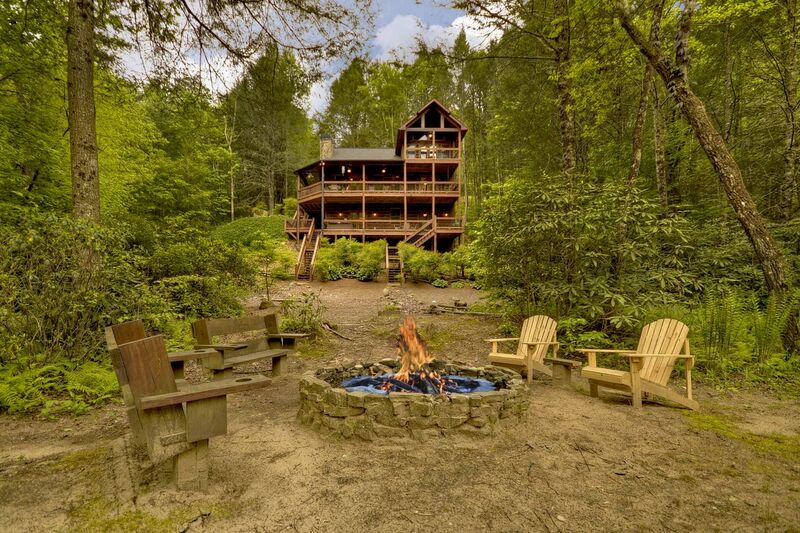 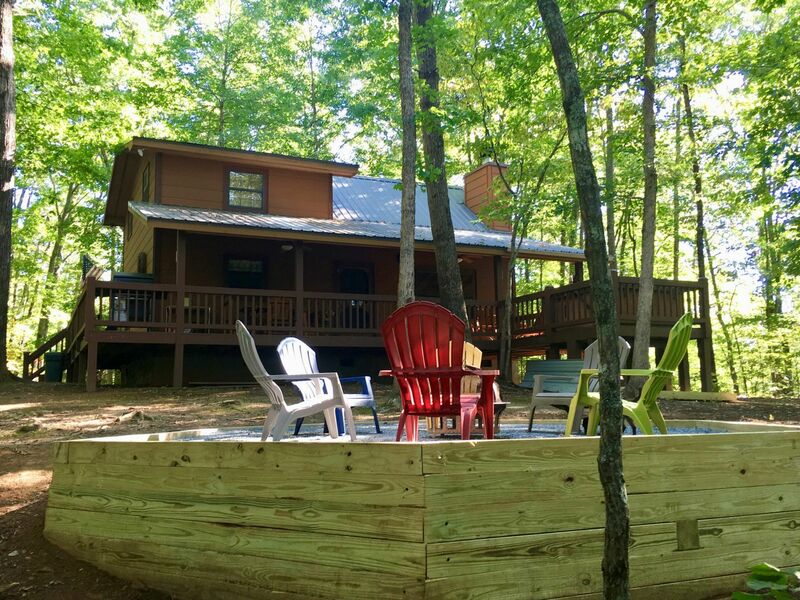 Have a group of family or friends looking to enjoy the mountains together but the idea of all those people under one roof sound less like a dream vacation than you care to admit? 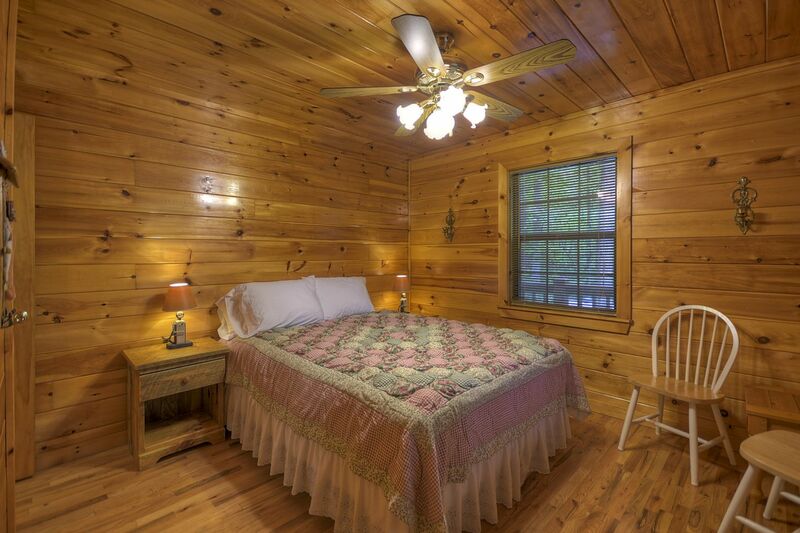 If you crave the serenity of the mountains but also need the convenience of being just outside town, Mountain Haven might just be the perfect retreat for you! 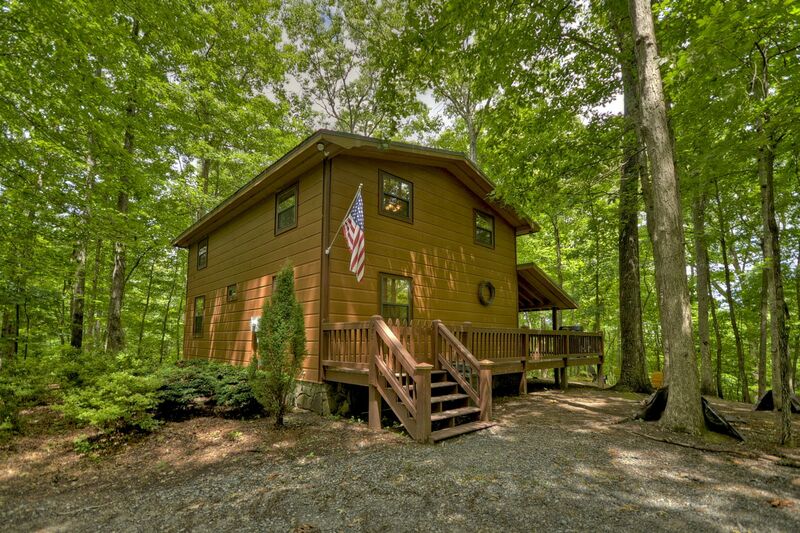 Constructed on a wooded lot, in a mountain community with other rental cabins available for larger groups, both spacious levels of Mountain Haven have an open floorplan. 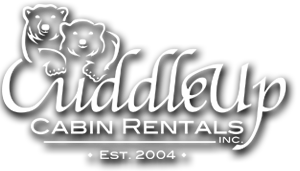 The main level grants guests access to the kitchen, the great room and seasonal gas log fireplace, as well as one of the cabins two bedrooms, furnished with a comfy Queen bed & access to a full bathroom. 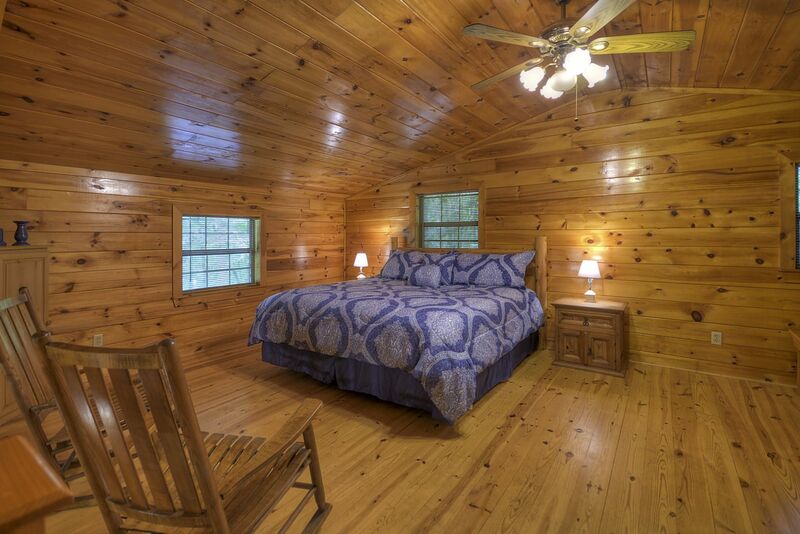 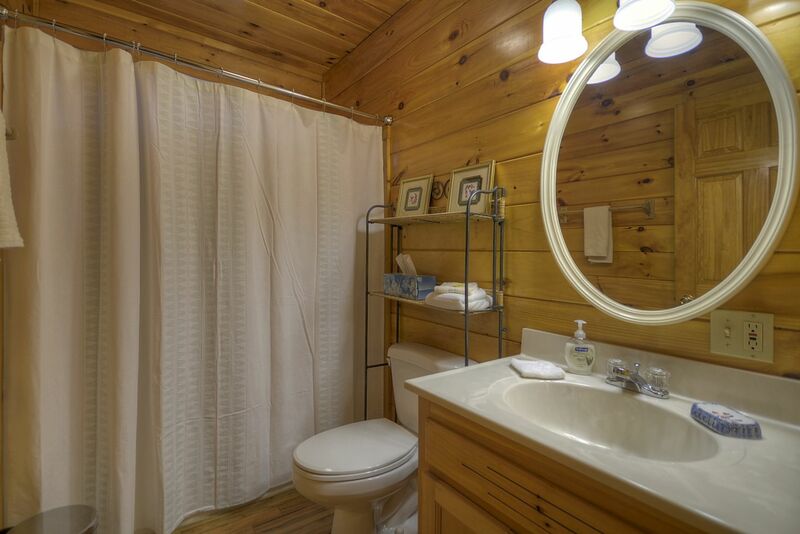 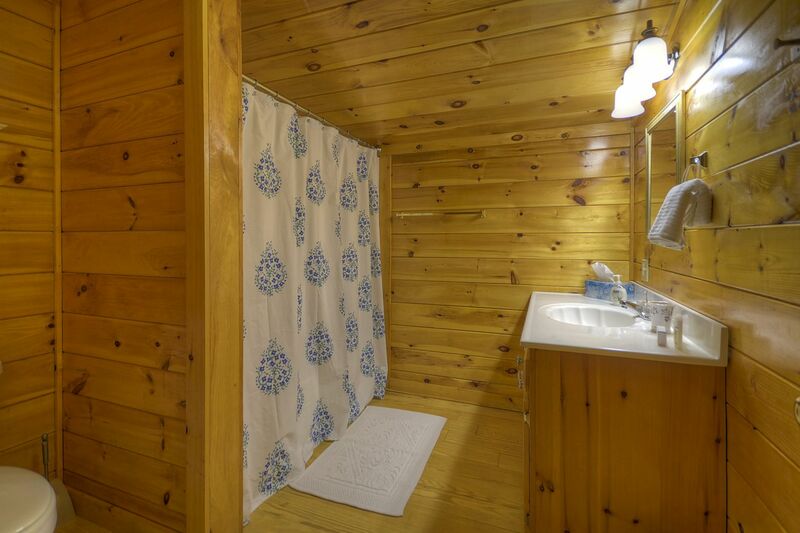 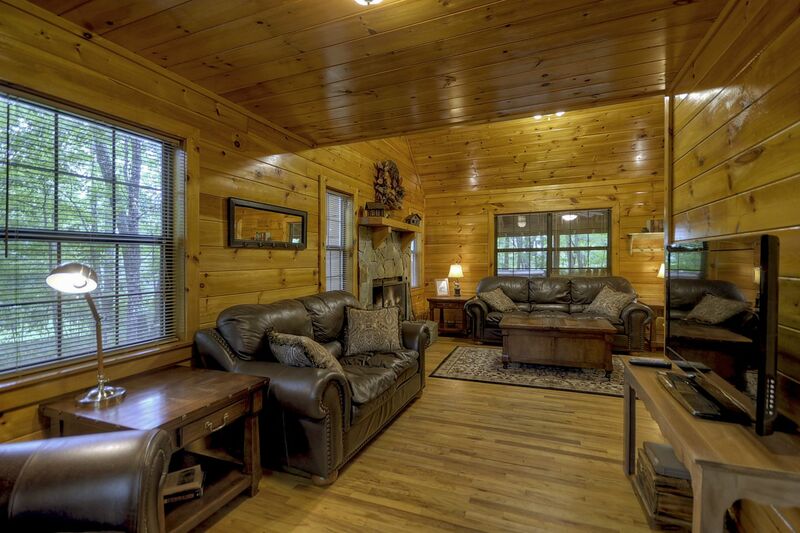 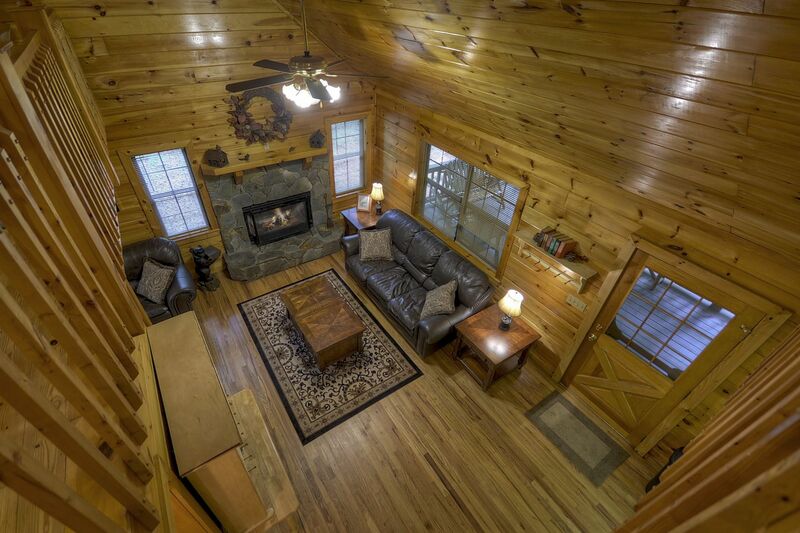 The cabin open loft is devoted to a relaxing Master Suite, with a King size bed, full bath and seating area. 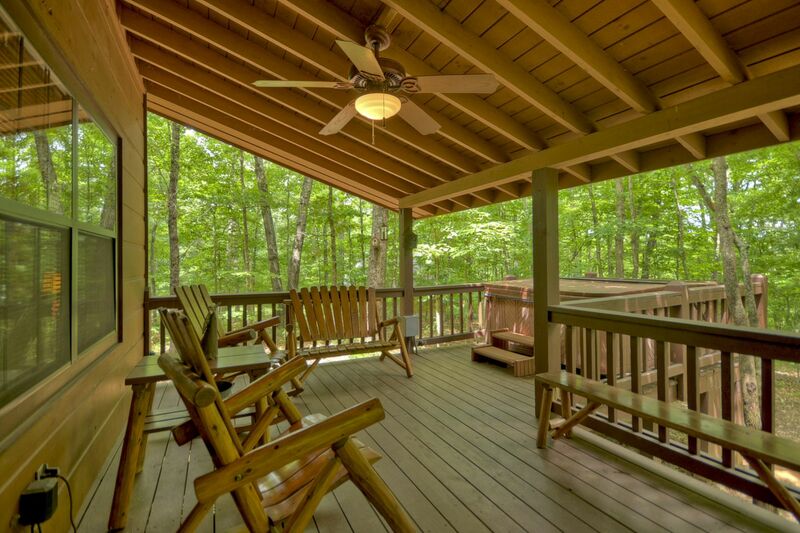 The large porch wrapping around the back of the cabin offers plenty of rockers & seating to sit back and unwind to the soothing background of the sounds of nature. 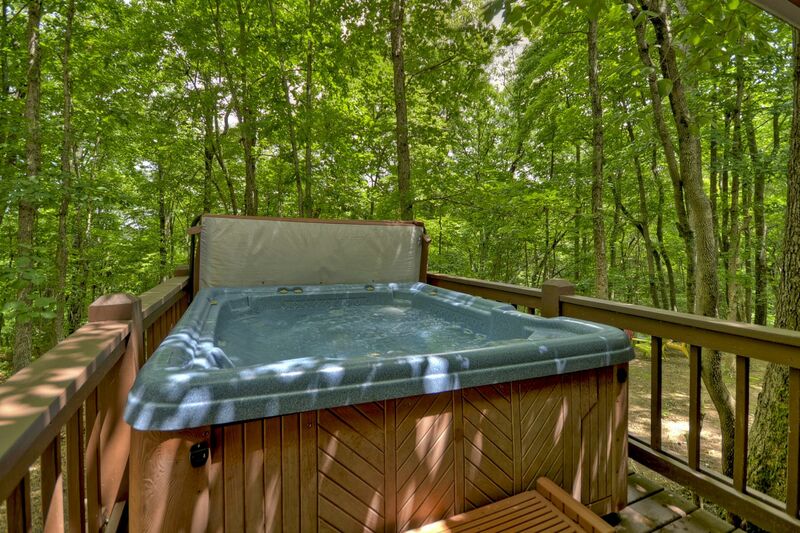 Enjoy an indulgent soak in the cabin’s steaming hot tub, or gather the family around the fire pit for tall tales, roasted marshmallows and s’mores! 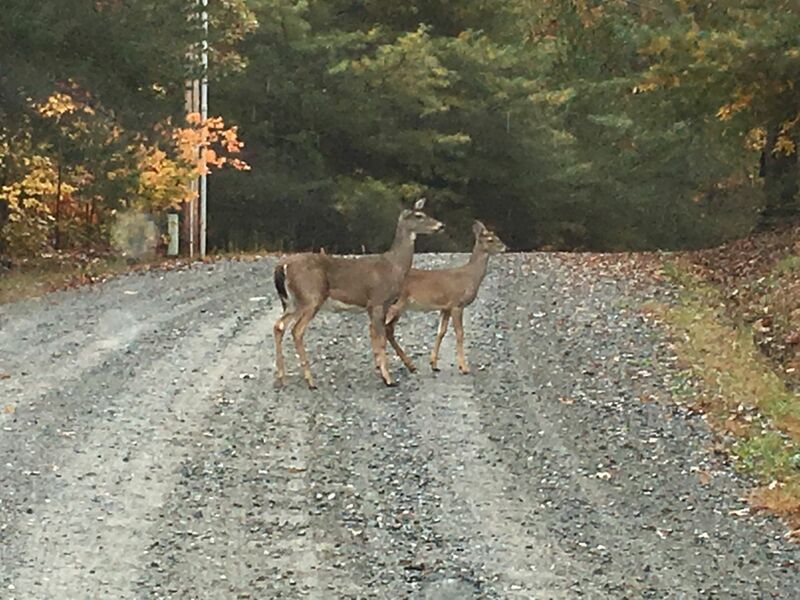 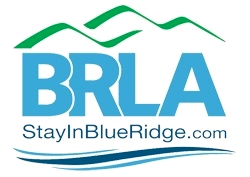 Located near Sugar Creek, just minutes from Historic Downtown Blue Ridge, Mountain Haven is the ideal location for a base camp to the best attractions—the Blue Ridge Scenic Railway Depot, Swan Drive In, Aska Adventure Area, hiking on the Appalachian Trail, it is all just outside Mountain Haven’s back door! 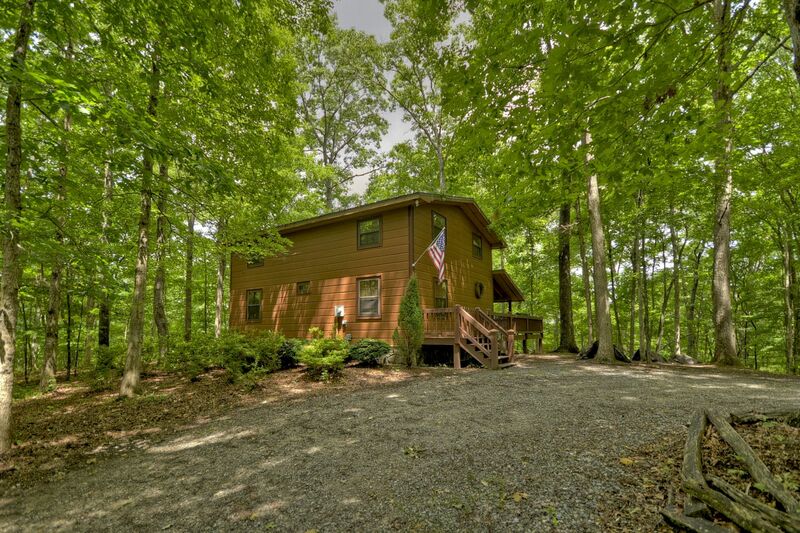 Love Mountain Haven and its location but looking for a bit more space? 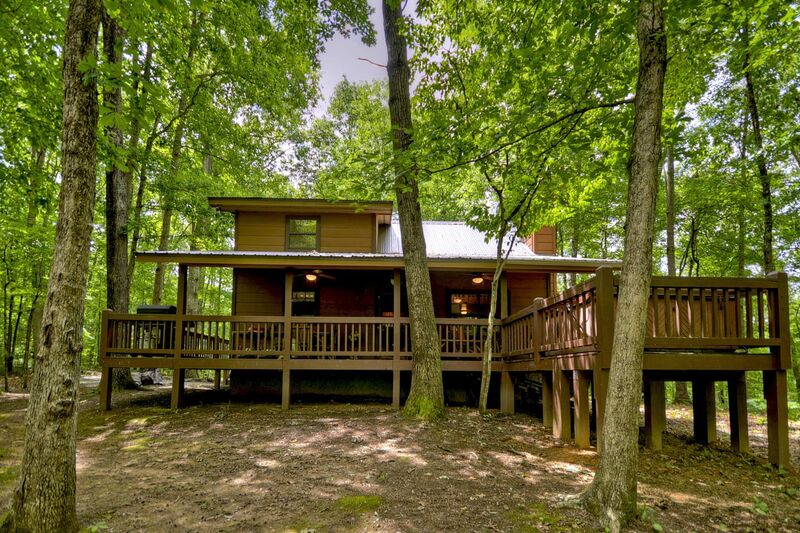 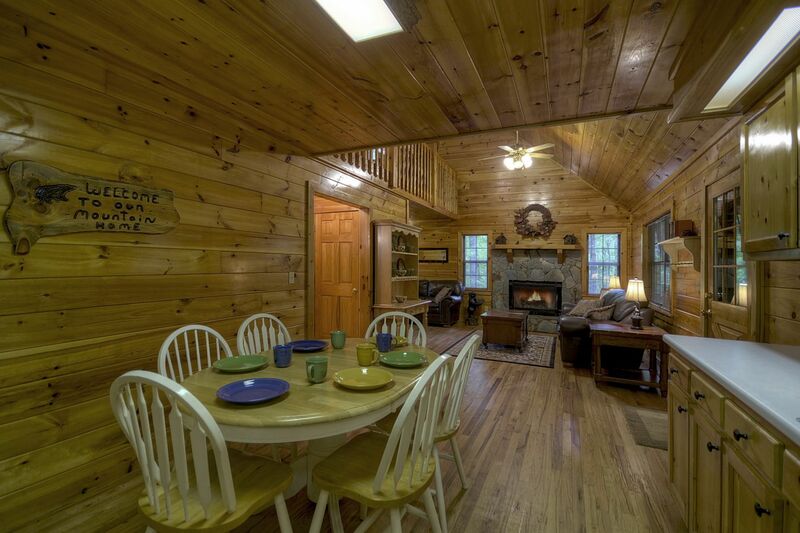 Other rental cabins including Sugar Creek Retreat are in the same mountain community and can be rented with Mountain Haven to accommodate larger groups!